Important —orders placed through PayPal are automatically charged on the order date, but tax and shipping are not always included and are payable on receipt of shipment. 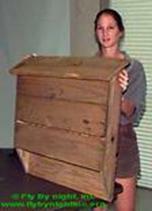 At FBN, we don’t stock an inventory of mass produced bat houses that are sold to anonymous buyers. 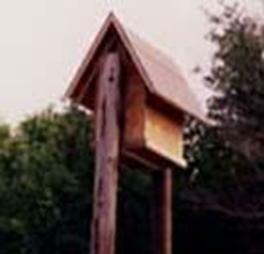 FBN bat houses are custom built and made in America — each is hand crafted by Thomas Finn. Our design is based on long-term research that began in 1993 and has evolved to meet the needs of colonial bat. 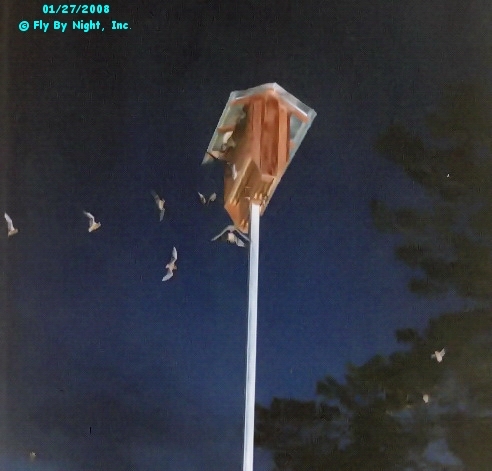 FBN bat houses provide a home for bats that need a new roost and can provide excellent Roost Mitigation when installed during Population Management projects. Installation is included with the price of our large pole mounted bat houses, but if you prefer the smaller bat house or plan to build your own be sure to review the Installation Guidelines to maximize your occupancy potential.